“So rich in treasures and sensational sights, everyone has wanted a piece of Albania over the centuries. 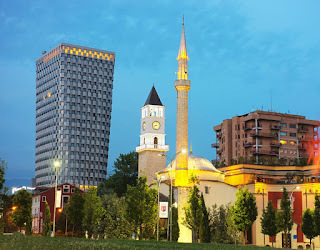 Maisha Frost discovers a mysterious beauty coming out of the shadows and longing to welcome the world.” This is how the renowned British media “Daily Express” describes Albania in a long article. 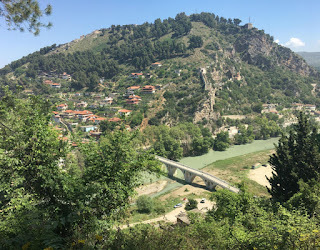 Every first time visitor in Albania is impressed by so many things that you can find attractive and worth a visit in this forgotten corner of Europe. “Ancient Greeks, then jeweler-loving Illyrians, the ancestors of many of today’s Albanians, were followed by Romans, Byzantines and Ottomans who all seized, settled and surrendered here in a relentless game of thrones. Today’s democratic Albania is transforming fast in other ways: the power blackouts and potholes are in retreat and the young as stylish as their European counterparts. Few too would have predicted the land’s dividend from a failed state that never saw through its plans for collective farms. 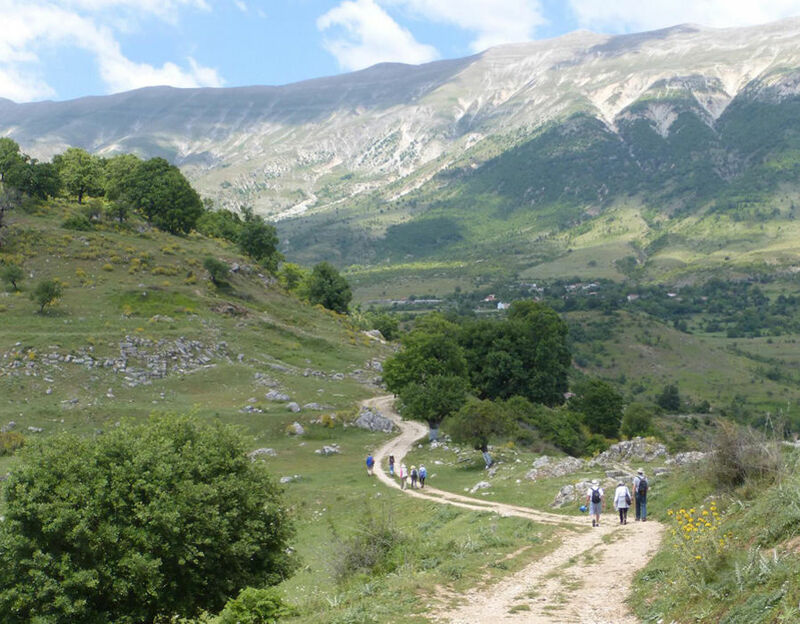 Albania’s small family-run farms stayed largely pesticide-free and its wildernesses untouched. Today that means organic havens for produce and wildlife, a place for taste delighting foodies and ramblers, with lots for the locals to shout about. 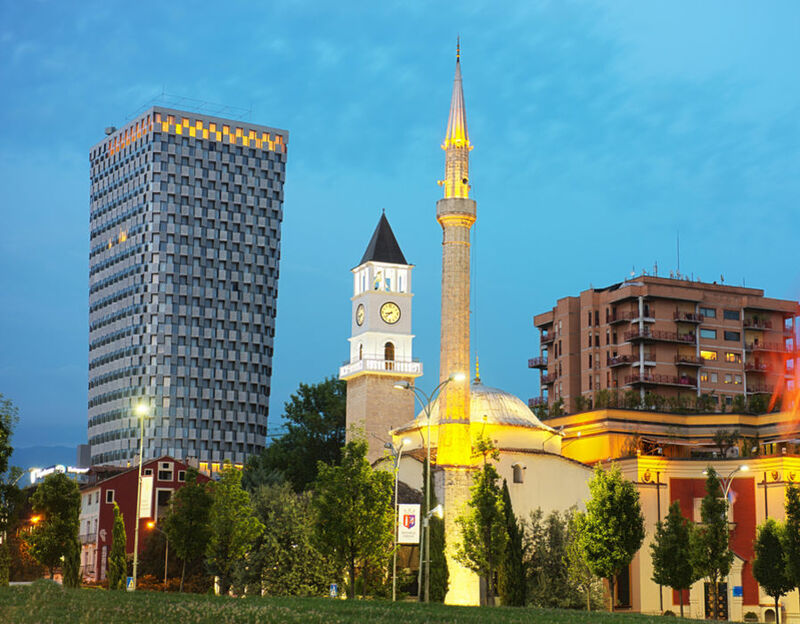 The capital Tirana is lively and safe, but with an understated, surreal side that often leaves visitors wondering what to make of it. Part Mediterranean town, part Soviet relic its rainbow-coloured apartment blocks, painted on the orders of a former mayor to bring some cheer, are more faded pastel these days. For good reason perhaps Tirana’s citizens seem to have a Pythonesque talent for looking on the bright side of life. Ask them about Albania’s reputation as a gangster factory and they promise – only half joking - “there’s no trouble here, we’ve exported all the criminals”. The city’s cultural highlights include a triumphalist history mural guarding the entrance to the classical artefact-packed national museum and the pretty 18th century Et’hem Bey mosque’s minaret and rare floral mosaics. More weird and wonderful Albania unfolds during the hour’s drive from Tirana to the medieval citadel of Kruja. Vacant buildings in various stages of abandonment stand beside the highway, some half built or decaying shells and some brand new but desolate and often for sale. Through a great stone archway lies a long bazaar, its low, long-eaved timbered houses and busy cobbled alleyways a lot like an episode from the TV medieval fantasy. 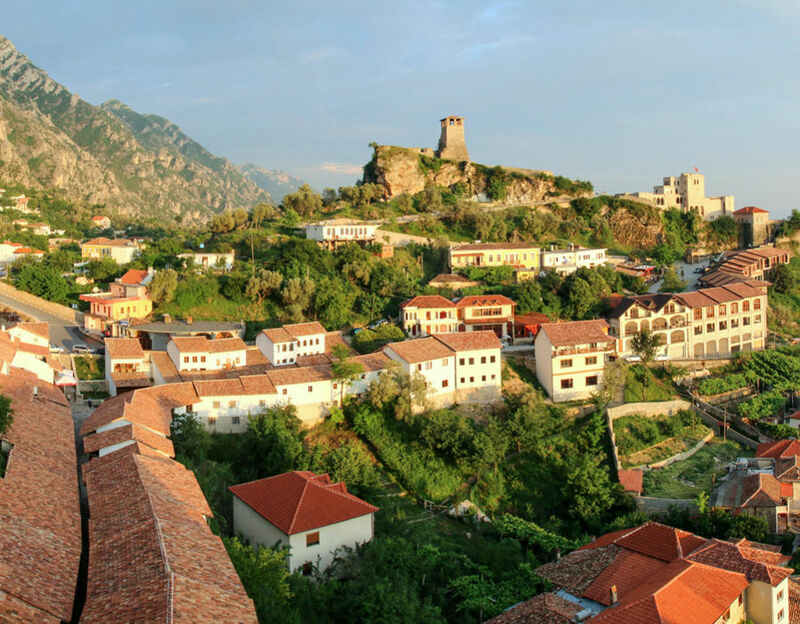 South of Tirana a great gorge splits the mountains and you come to Unesco world heritage site and Albania’s poster girl Berat. Dating back to the 4th century BC, the city’s seven-arch Gorica bridge, a favourite Ottoman masterpiece, spans the Osum river and tiers of white gabled houses climb steep cliffs to its citadel. There towering walls form a hilltop cradle for ancient mosques and eight medieval churches, one housing a stunning collection of icons by 16th century master Onufri, famous for the luscious ruby coloured paint he used. Wild nature is never far away in Albania and as I followed herders’ trails for a morning’s ramble in the sweet air high in the hills above Berat I was surrounded by slopes thick with poppies, campion, delicate blue lilies and wild orchids peeping among the tall grasses. The crowds have not caught up yet either with the country’s archaeological sites, rated among the best in Europe. Layers of history are densely packed in Durres, the port city and transit point for the ancient Via Egnatia route to the west of Tirana. Although this does not have the manicured magnificence of Rome’s Colosseum, the stark suburban setting and details like the pens for lions and the steps deliberately made uneven for crowd control made me more aware somehow of history’s relentless tide. Different again is pastoral Apollonia, a remote Pompeii-without-the-people hilltop site dating from 588 BC that was once a Greek city state served by slaves and then a Roman cultural centre. At the entrance a Byzantine monastery’s stone walled galleries are dripping with classic bronzes, busts, vases and coins and across the cobbles gargoyles erupt from a 13th century frescoed church. As I wandered deeper among its towering ancient pillars and olive groves, red rump swallows and bee eaters flitted by and I was suddenly in a moment only Albania could deliver. In the distance rose the outlines of a mosque’s minaret and the hump of a bunker, then an unseen church bell began to toll.